Flexibility is key with this beautiful personalised stamp for kids or fun-loving adults alike. Can be used for keeping track of school books, DVDs, CDs, presents - anything that can be stamped! This bird design is inspired by art nouveau and botantical illustrations and depicts a bird surrounded by berries and intertwined leaves and branches. Perfect as a birthday or christmas gift for anyone who likes to stay organised. Available as stamp only, or stamp + black ink pad. 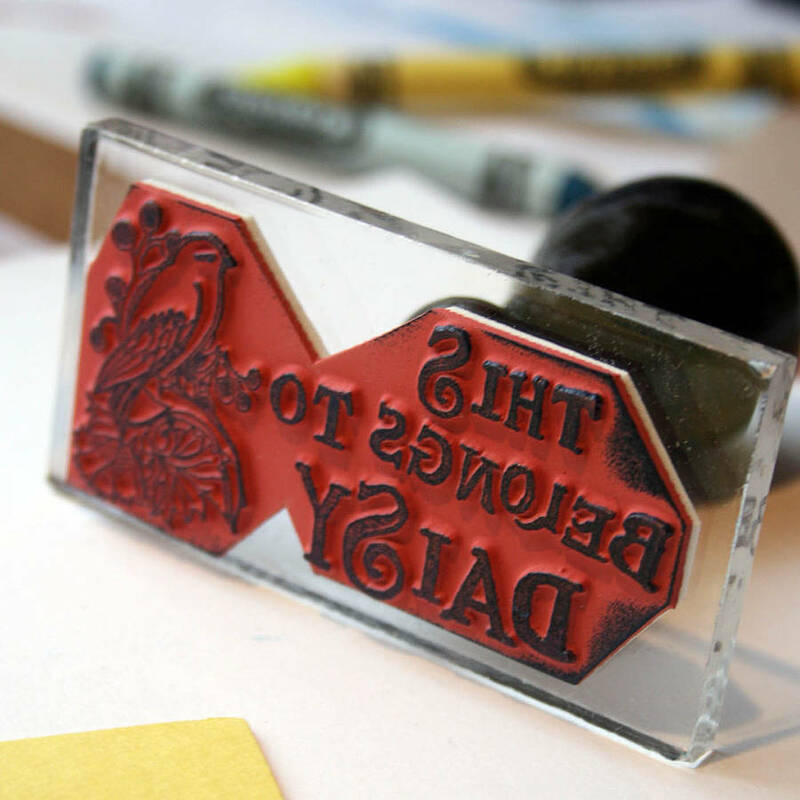 Rubber stamp on perspex. 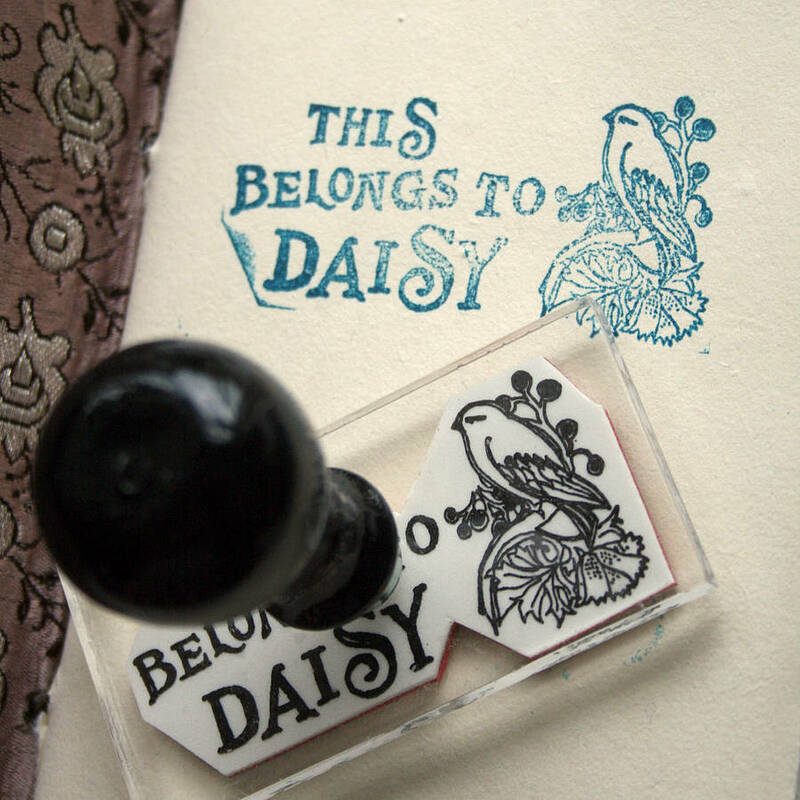 Stamps come with a plain wooden handle for easy stamping. Stamps are approximately 6cm x 4cm.